The future of the iconic Beetham Tower in Manchester city centre has been thrown into doubt. Built in 2006 and hailed as ‘the first skyscraper outside of London’ at a cost of £150 million pounds, the tower is in disrepair and requires urgent construction work. 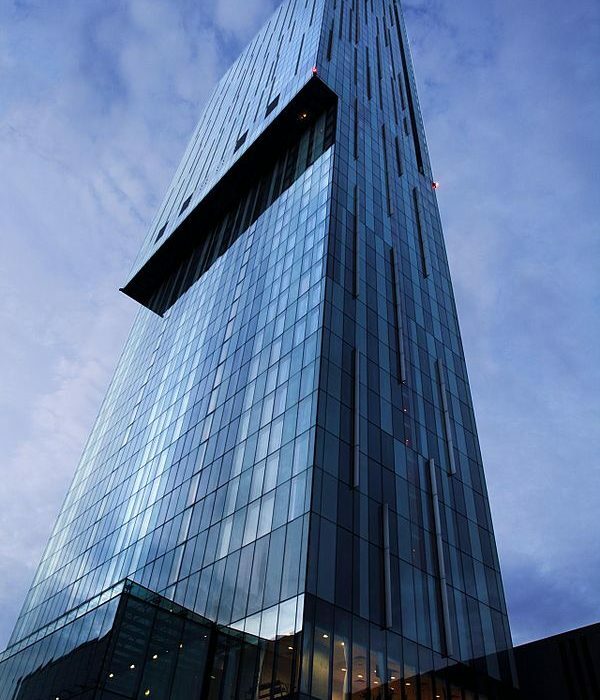 The owner of Beetham Tower, North West Ground Rents Limited, has lost a court ruling over the famous tower. The first 22 of the 47 floors are taken up by the Hilton Hotel. The hotel’s owner, Blue Manchester Ltd, has taken the tower’s owners to court over their refusal to carry out essential repairs. The building requires work to fix 1350 ‘shadow blocks’ that make up the facade of the building. This has been known since 2014 but nothing has been done since. After the court ruling, North West Ground Rents Ltd has been ordered to pay £250,000 of compensation within 28 days. This amount could yet rise further with the court yet to decide on any damages that may be awarded. Guests of the famous hotel have complained about problems with the water supply, and disruptions to parking and arrival. The condition of the building and its glass panels are said to threaten the safety not only of guests in the hotel, but also of local residents. As yet, no decision has been made on when or even if any repair works will be carried out. The state of the building is also said to be a concern of the residents whose homes make up the 25 floors above the hotel. Beetham Tower stands at 169m and is currently the tallest building in Manchester.